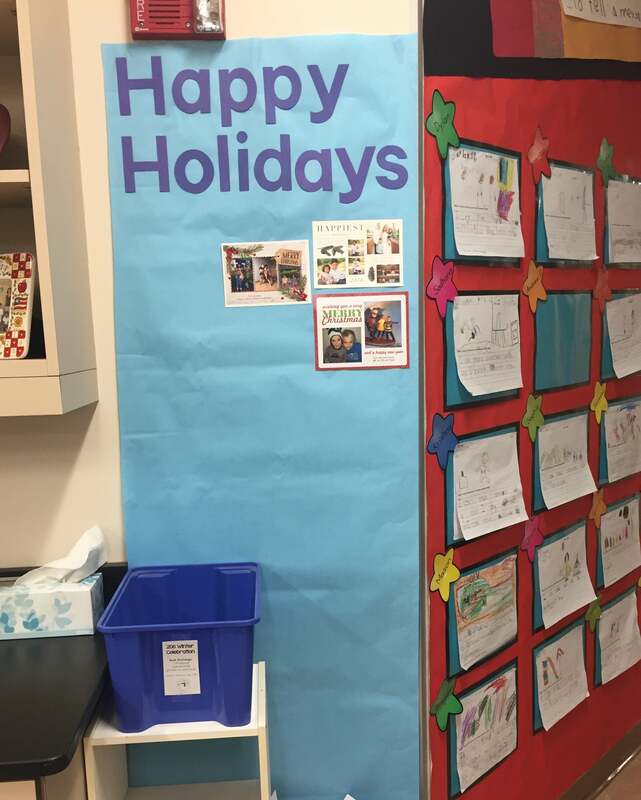 IN THIS POST: Character Education – Respect, Window Art – December, Writing with Mrs. Wick’s Class, Mother/Son Bowling, 206 Winter Celebration, Holiday Cards, We Have Heart, Pajama Day, Upcoming Events, Next Week. This week Meredith Nady came in to speak to the students about Respect. This is a big one when you are 5 years old. It can be difficult to distinguish respect as we are learning everyone is different which a huge concept. 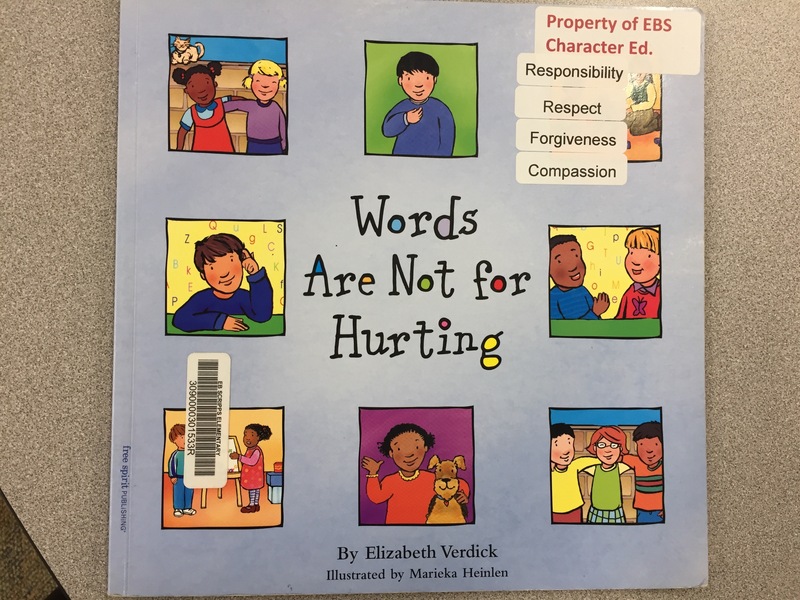 She read a book called, “Words are not for hurting.” This led into a conversation about how the words we say can really hurt someone and can’t be taken back after they’ve been said. She discussed our classroom rules and how they are all about respecting others, the school and ourselves. She also spoke to the kids about touching others (such as: hugs, pokes, and even a pat on the back) could be welcome by some and unwelcome by others. 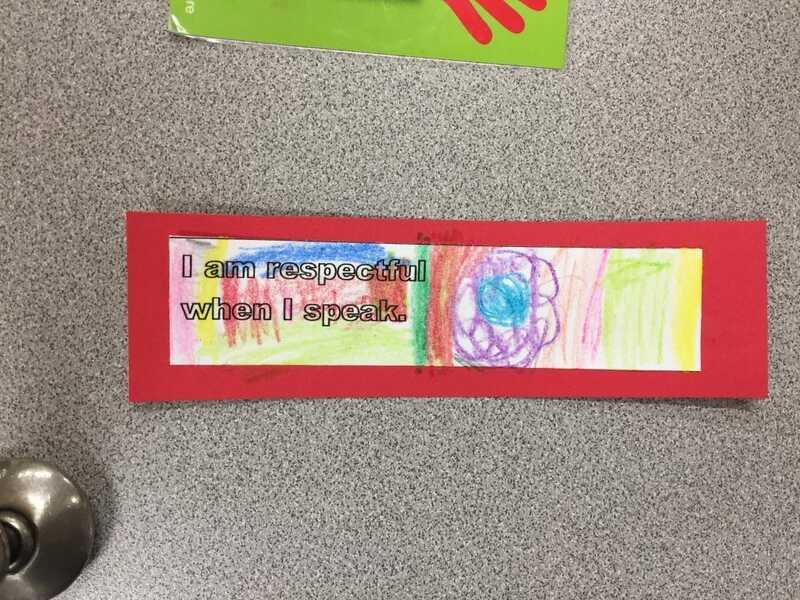 After the story and discussion the students went back to their desks and colored and glued bookmarks that reminded us how to be respectful to others. We have continued to touch back on the topic as situations come up so it was a great topic and learning experience! Neda Afshar came in this week to create window art with our students. 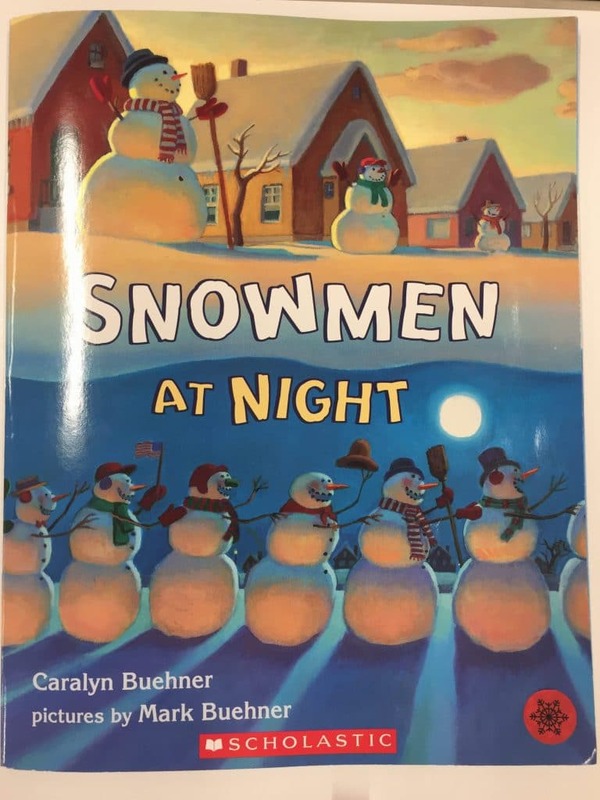 We read Snowmen at Night (if you haven’t checked this one out, you should borrow it from the library…the kids loved it). 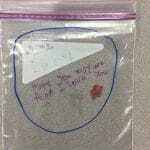 After our story, Neda passed out circles for each student to cut. They cut out a circle for each name in their letter in addition to one extra circle for the head of their snowman. After writing their name and gluing the letters together, they decorated their snowman! This was a great activity to work on practicing our names with lower case letters and to have some winter fun! 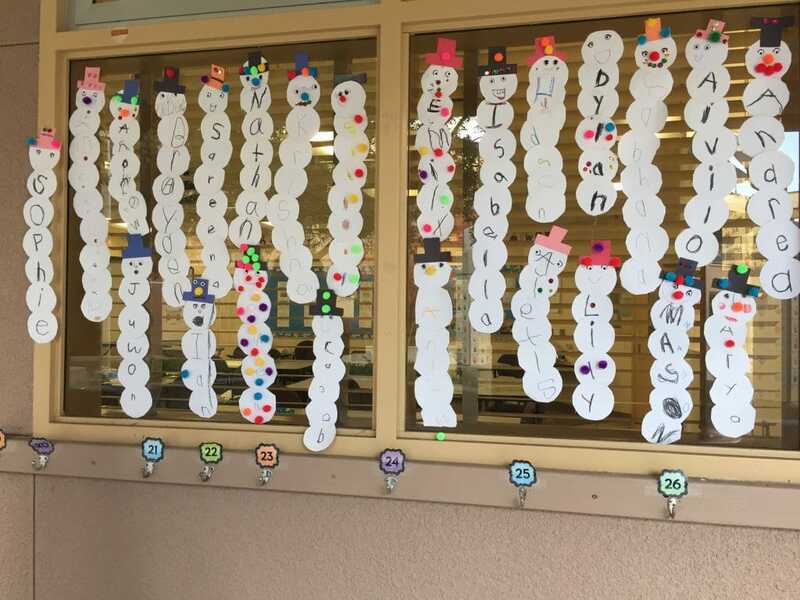 The students made up a title for the snowman art to match the book we read before making our snowmen! We are finishing our current writing series next week. This writing has been different than the writing we started the year off with. 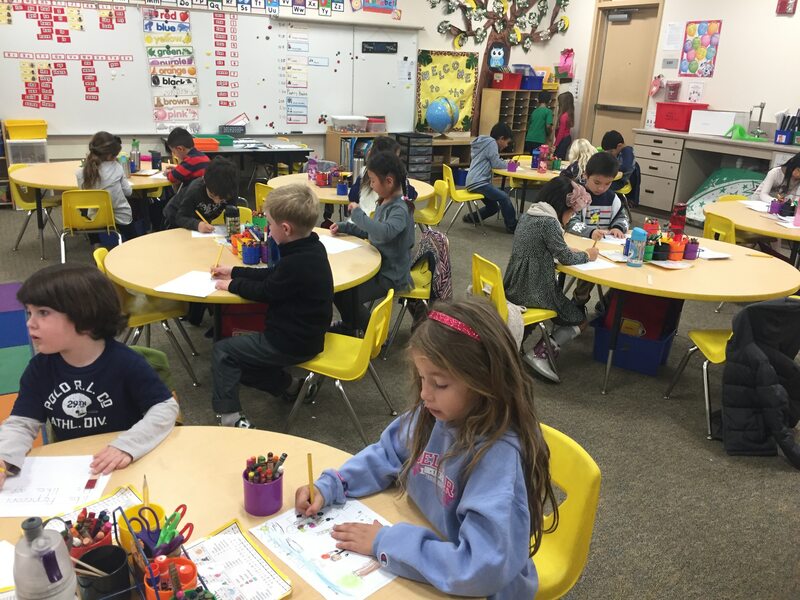 In this segment of writing we focused writing informational writing to describe something. There was also a heavy focus on the conventions of writing…starting their sentences with a capital letter, using finger spaces and ending their sentences with a period. This was introductory for many and was great practice for them all! In January we will continue informational writing but we will be using a different program (similar to September) that focuses more on the craft of writing rather than the conventions. 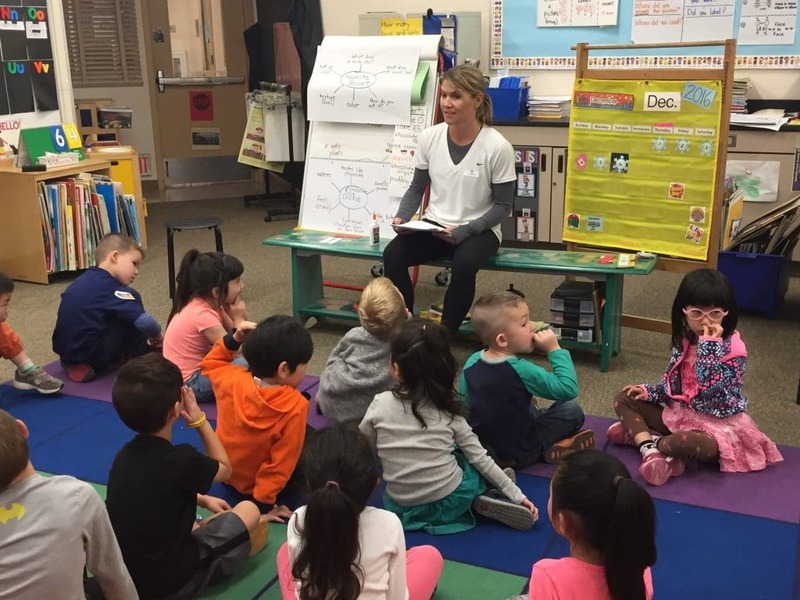 This week we visited Mrs. Wick’s class to join them for a writing lesson about Mr. Morici. 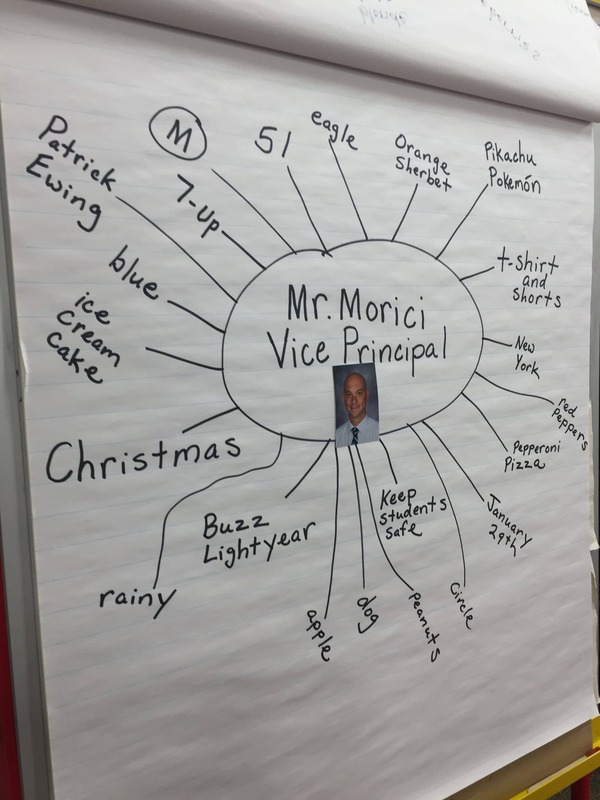 We (both classes) interviewed him and then wrote all about what we knew about him! 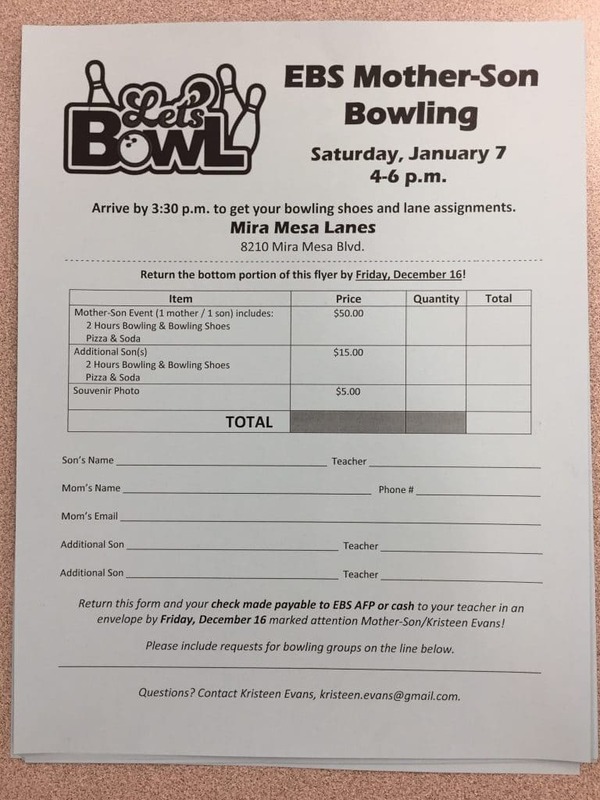 Flyers went out this week for Mother Son Bowling! These are due next week! If you missed your flyer or lost it, stop by the office and pick one up! This is a special date night opportunity with your little man that is a lot of fun! * In early 2017 information will go out for the Father Daughter Dance which is also a night of fun! Don’t miss out on these great opportunities! 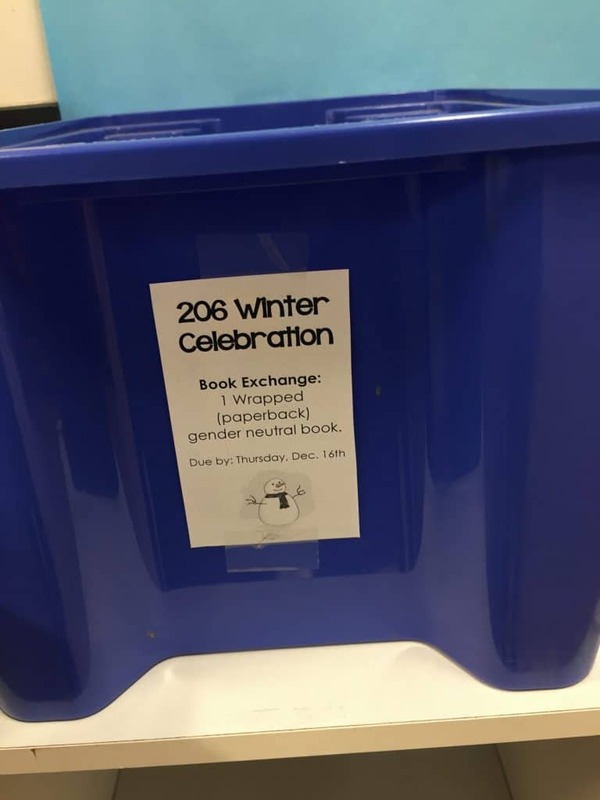 Our 206 Winter Celebration is approaching! Official Flyers will go home today. 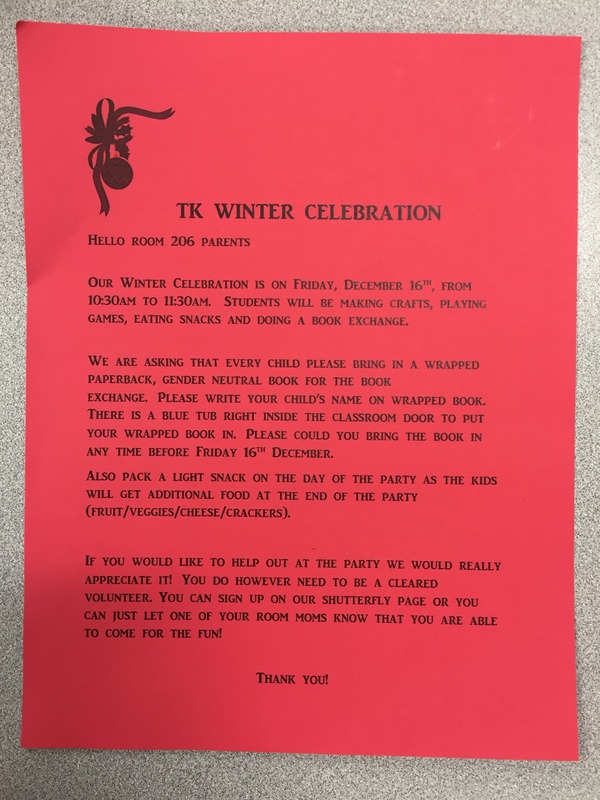 The students will be doing some fun activities, crafts and having a light snack. All CLEARED parents/grandparents are welcome to join us (we kindly ask that adults only come in to volunteer and participate). Check out the flyer for details. NOTE: This is also Pajama Day for the whole school! We are also doing a book exchange that day. Simply send in a gender neutral paperback book that is wrapped with your child’s name on it. 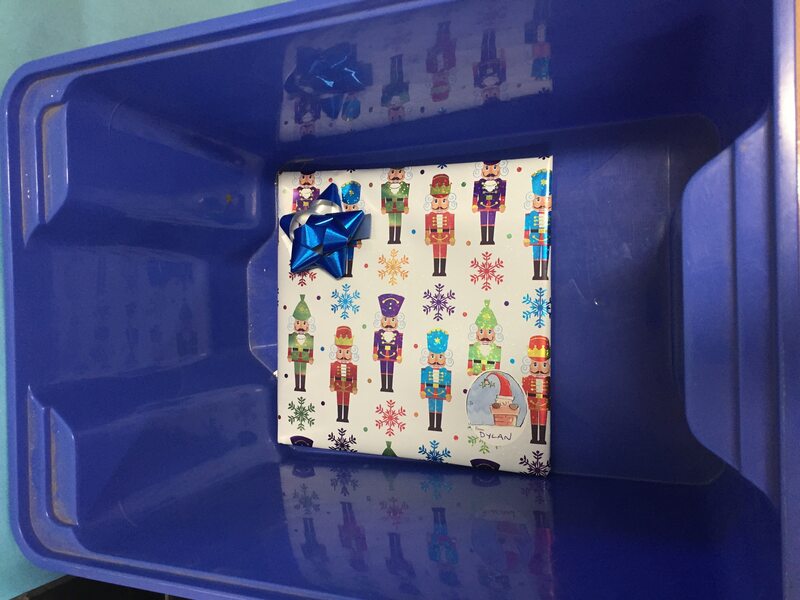 There is a box in the classroom as we will be playing a fun game to swap books. Bring these in anytime before next Friday. * Just a reminder this is a half day for the whole school. 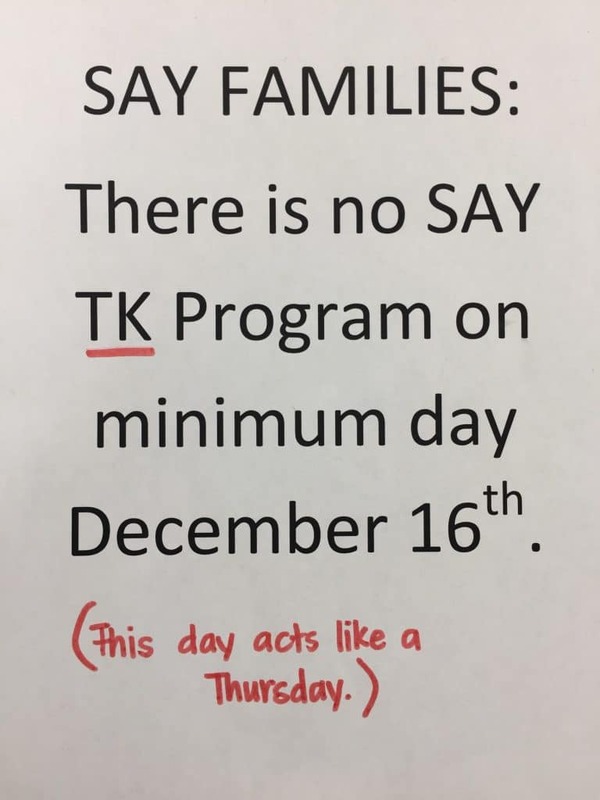 This means we will dismiss at the classroom door and there will be changes for the SAY program (it will act like a Thursday) . Just a reminder if you have your family Holiday Card, feel free to send one in your child’s folder and we’ll hang it up in class! Thank you for all the cards that have already been sent in! 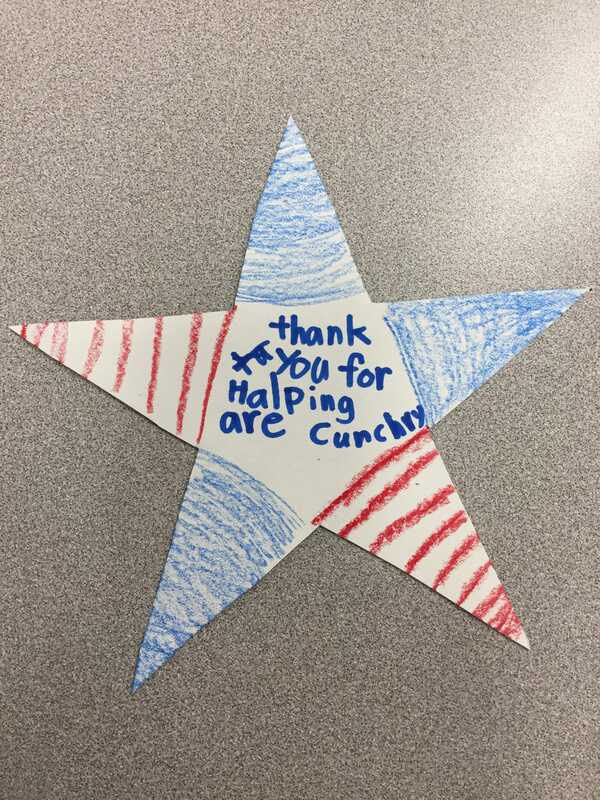 Tribute to Troops – Just a reminder…decorated stars were due today. If you forgot, feel free to send them in next week as I got word I can send them next weekend as well. We got a lot back this week! Thank you! Meals for Mexico – Bring these in next week. My daughter made one and has one more she would like to decorate. Its simple and fun and provides a whole meal for a family! Let’s see how many we can bring in! 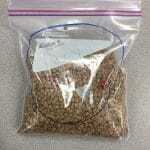 So as you’re shopping this weekend, pick up a bag of beans or rice and fill them in a quart sized bag! 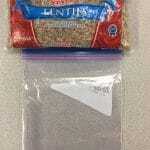 Get dry food & bag Decorate the bag. Fill with food and return. Return by next Friday! Please share with friends and neighbors and see if they want to donate a meal as well. One bag is an entire meal for a family! Next Friday our whole school will be having a spirit day….Pajama day! Find some fun pajamas to match the weather and come to school! I’ll be wearing mine as well! Parents feel free to participate…how often do you get to wear your pj’s out and about! (Just a reminder, students must wear regular shoes…no slippers).